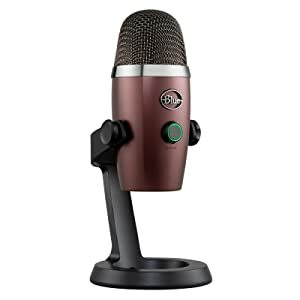 Yeti Nano is a premium USB microphone designed for broadcast-quality podcasting. 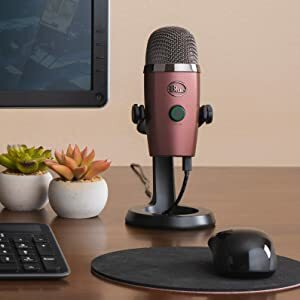 Inspired by the Blue Yeti microphone, Yeti Nano features 24-bit sound quality, a compact design, and plug 'n play operation for instant streaming with your PC or Mac. The premium finish looks great on camera and on any desktop. With a no-latency headphone output and controls for headphone volume, mic mute, and pickup pattern, Yeti Nano is the essential mic for modern broadcasters. PC: Windows 7, 8.1, 10; USB 1.1/2.0/3.0. Mac: MacOS (10.10 or higher); USB 1.1/2.0/3.0. Yeti Nano includes everything you need to broadcast your message with crystal clarity. 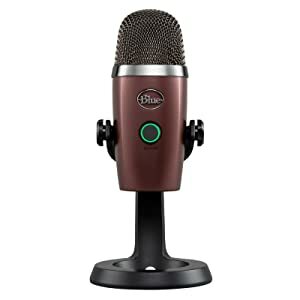 Blue designed two proprietary mic capsules specifically tuned to give your voice exceptional presence and detail. Plus, Yeti Nano supports high-quality 24-bit/48kHz recording. So you can give your podcast, video, or Twitch stream even better production value. Whether you’re gaming, making a business call, or recording something new, you’ll be heard loud and clear every time. Every aspect of Yeti Nano is designed to help modern broadcasters record and stream easily. The compact footprint and aesthetic fits perfectly on any desktop and looks great on camera. 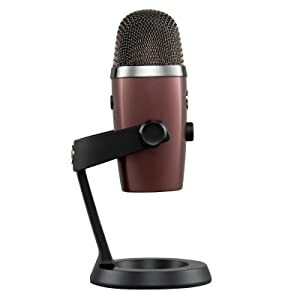 The built-in metal stand makes it easy to adjust the angle of the mic exactly where you need it. When you’re ready to make a call or recording, just plug your headphones into the no-latency headphone port and adjust the volume to hear your voice in real time. And if you need to sneeze mid-stream? Just tap instant mute and make all the noise you want without being heard. Whether you plan to record a single source, or multiple sources at once, Yeti Nano gives you flexibility with two pickup-pattern modes to choose from. Simply tap the pattern-selection button to set the one that’s right for your project. Cardioid mode is perfect for podcasts with a single host, game streaming, Skype calls, vocal performances, voiceovers and instruments. Omnidirectional mode is best used when you want to have a conference call with multiple participants in the same room, or record a multi-person interview for a podcast.